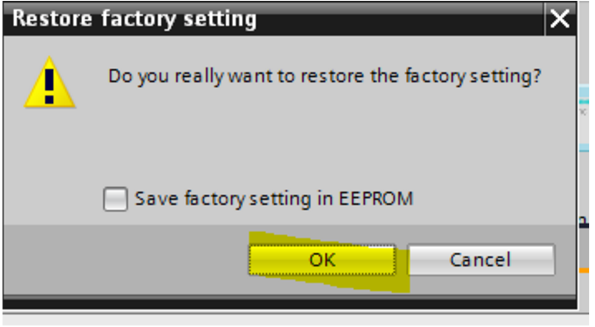 You want to reset your drive to factory setting in TIA. In the Project Tree, Choose the Drive that you want to reset, then Double click the Commissioning. In the above screen, choose Backing up/reset. Let you TIA to Online.